Butte College Workshops - permafunK ​ CELEBRANDO JUNTOS..
Free for Butte College Members and $5/10 donation for the rest of the community. 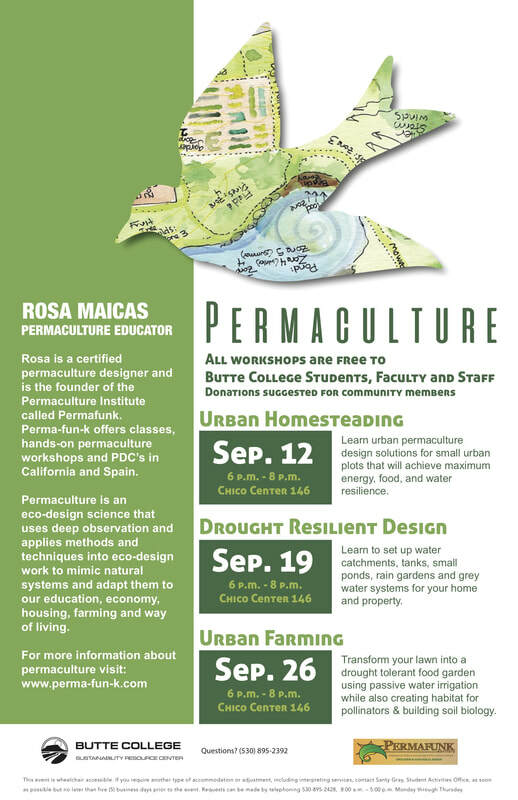 These workshops are related to the Fall Permaculture Design Certification Course. 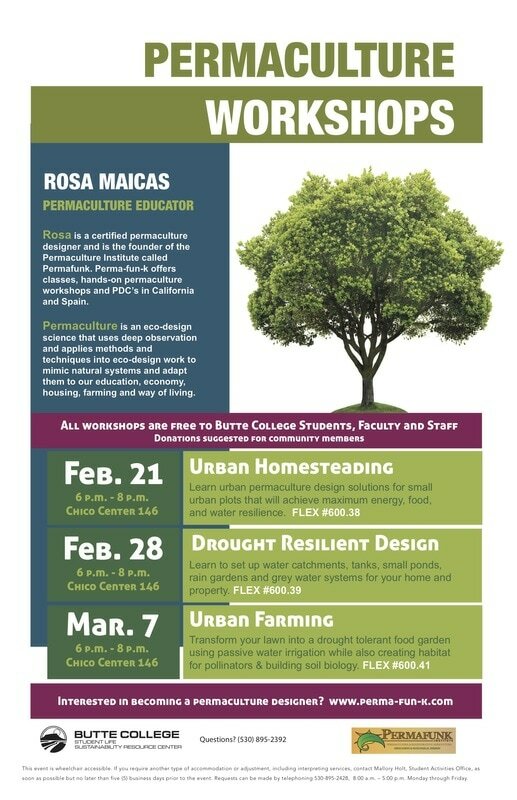 If you would like to become a permaculture designer in your own community these classes would be a great introduction to design & they would help you build some knowledge before the certification training. More info here.